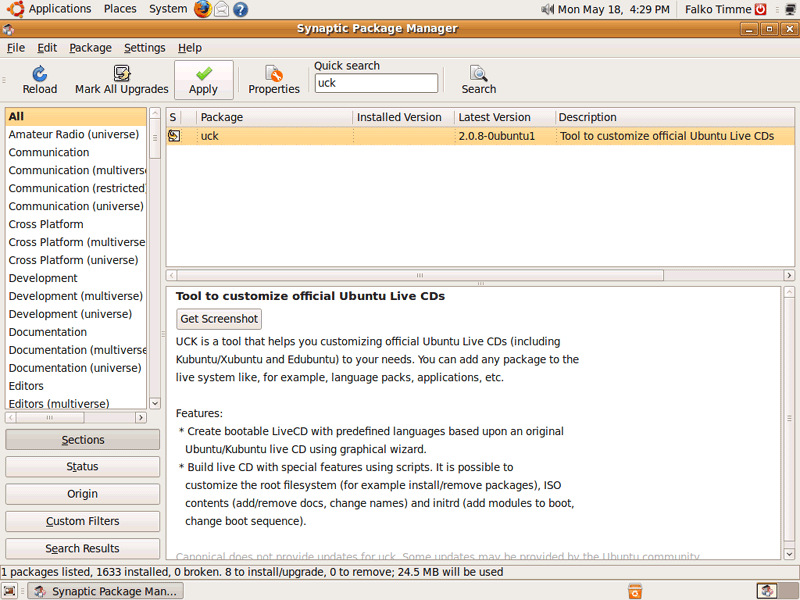 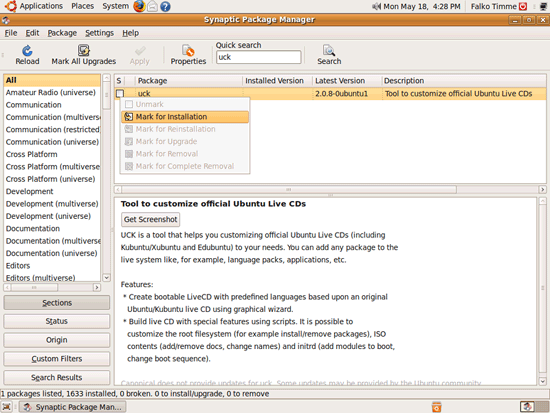 This guide explains how you can build customized Ubuntu (as well as Kubuntu/Xubuntu and Edubuntu) Live-CDs with the help of UCK (Ubuntu Customization Kit) on Ubuntu 9.04. 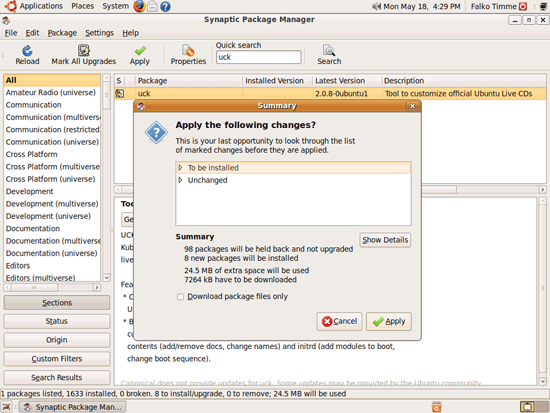 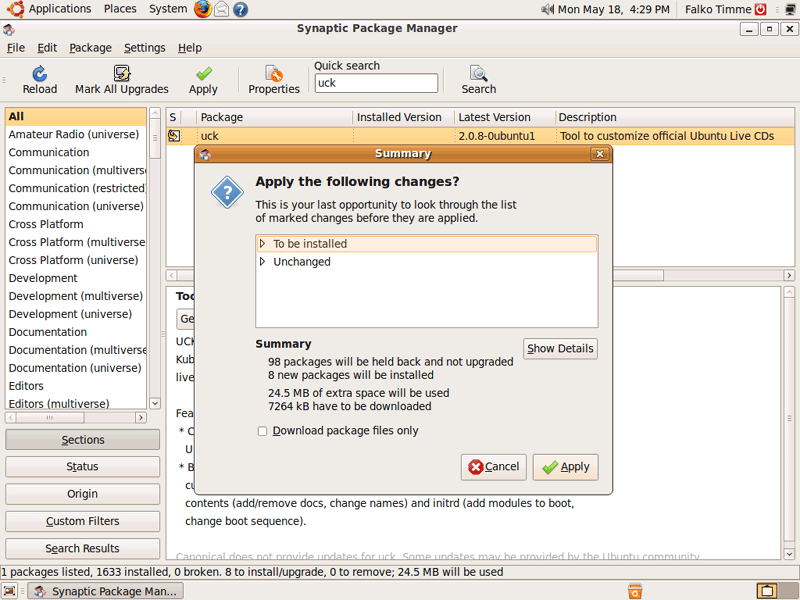 UCK allows you to customize the language and the applications on the Live-CD. In this example I will only change the language of the Live-CD to German. 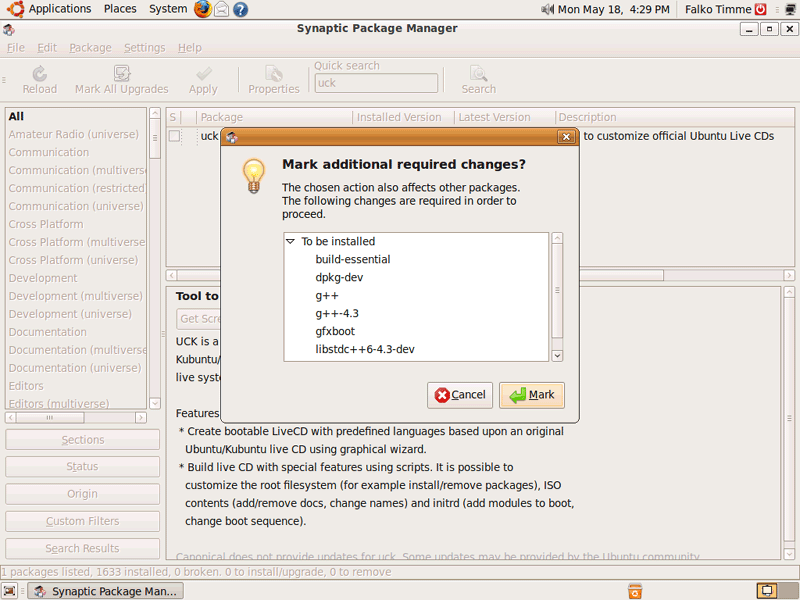 Of course, it is possible to make further modifications.